Disclaimer: This subscription type is discounted as a way to say thank you to those who wish to stay long term. However, there is a tradeoff. Even though you can cancel at any time, access to our system ceases immediately when cancelled, regardless of how long you have left. Please be aware of this when choosing this subscription type. Non-recurring subscription types below do not renew automatically and are not discounted. 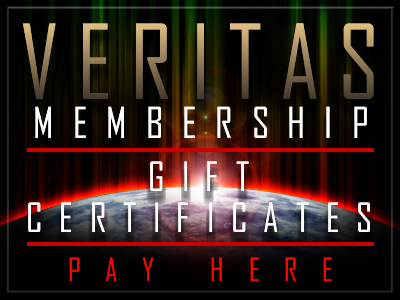 Attention: Do not purchase a gift certificate if you are buying a subscription for yourself. Choose any of the other subscription types instead. The purchase is intended as a gift for a third party. Also, please make sure you include the full name and e-mail address for the recipient inside the PayPal comments or we will not be able to create a subscription for the designated party. *Discounted recurring subscription - The regular 3-month subscription costs $39. 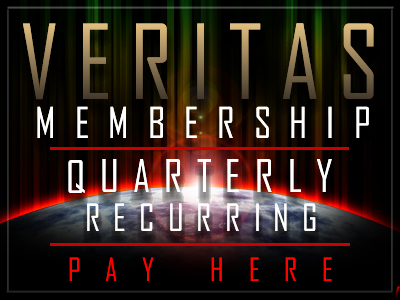 However, as a way to reward long term member we offer a 23% discount ($10.67 per month, instead of $39 per quarter). The tradeoff is that, if you cancel, access to our system stops immediately regardless of how long you have left. Please be aware of this when choosing your subscription type. Don't take our word for it...read below. Don't take our word for it. This is what listeners are saying. From a very young age, I was always acutely aware that the truth is being hidden from the everyday man and woman. 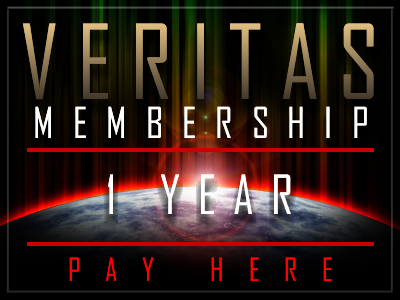 When I was 16, I began to listen to Veritas and it has changed my life, just as Sanitas has. In a world where the wisdom of ancient cultures are ridiculed, young people are sorely in need of mentors who are willing to ask the questions that teachers and professors will not. For the past 6 years, you and your guests on both your shows have become my mentors. You have guided me through my teenage years into adulthood; I would not have become the person I am today without both Sanitas and Veritas. Your show has become a part of my everyday life. Mel, from the bottom of my heart, I would like to thank you, and let you know that there are young people listening. We appreciate all that you do. Thank you for everything that you are doing so that people like me, who want to know the truth, have an outlet where we are not judged and can listen to the ideas of others like us. It wasn't until I discovered this site years ago that I felt like I wasn't the only one wanting to know and questioning everything that I thought I knew. It has not been an easy journey but this program helps make the journey easier. Thank you for doing what you do Mel. "I have heard over 15 radio shows and yours lead them to NEW HEIGHTS. Your format, insightful questions and open mind are a true gift to ALL the guests you have on your show. Your show is like HD-3D while the 'others' are analog. Thanks for being TRUE and bringing a whole new level of professionalism and quality to this field. I wish you the most success and to all who come on your show, that have a TRUTH to share. I can't praise you and the show enough....;-)"
Veritas Radio - "Alternative Media for Discerning Minds." This weekly broadcast has become the go-to source of excellent interviews, uninterrupted, uncensored, intelligent discourse, no commercials. Host and owner Mel Fabregas, a man with a family who lives somewhere in the desert, between Area 51 and Roswell. Keen-minded and well-prepared, Fabregas, who began broadcasting on a lark in 2008, has nearly perfected the art of choosing guests, asking the right questions, and not derailing delivery. The first hour is free, but the second hour is always better. Join for $8/mo. It's worth it. Mel does a new show every Friday and the first segment is free. The second segment is via subscription ($7.99/month, no ads or breaks) and each show is 2+ hours or so. Topics range from typical 'conspiracy' stuff (like NWO, UFO, WTC, Black Projects...), to UFO/Paranormal, Gnosticism & Consciousness (without the New Age vibe), Government/Monetary Policy, HAARP, Chemtrails & Mind Control, Ancient Architecture, Alternative Health (Betty Martini's Aspartame show is a must-share), 2012, and all kinds of fascinating stuff. Veritas' level of discourse is without peer on the internet, or any other media, and I ALWAYS learn new stuff on subjects where I thought I was up to speed. Unlike many other shows I also feel uplifted after listening, even when the content is pretty dark, b/c I feel empowered to either 'be the change' or confident that there are alternatives to the subterfuge when such bright lights come together to share. Oh, and I'm not affiliated with Veritas or Mel, and don't benefit from the show in any way other than the pleasure and information gleaned when listening. 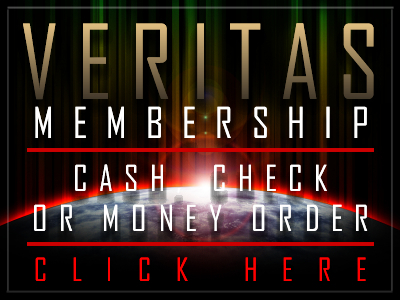 Instant ON DEMAND access to all our shows and take VERITAS with you anywhere, including download of new shows via iTunes. Discounted rate. The regular 3-month rate is $32 but you receive a 25% discount (one month free per quarter) as long as your subscription is active and pay only $23.97 per quarter). You can download or stream all shows. 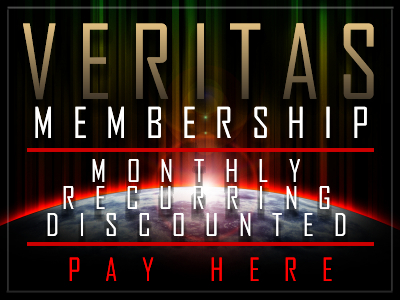 Bonus features: The Veritas Forum, weeklly newsletter, advance preview to shows, bonus interviews, discount pricing on show transcripts. 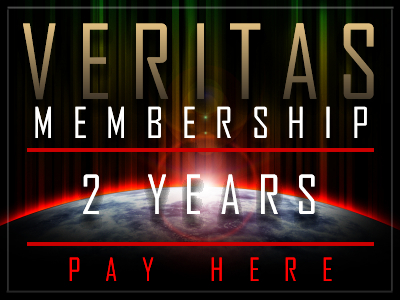 For just .26 cents per day you have access to all our past, present and future shows. What are you waiting for? We give one hour or half of every show for free. Isn't it time you listen to the rest? 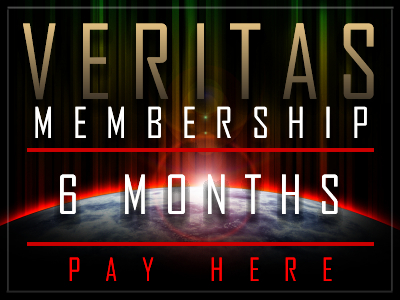 VERITAS is ALTERNATIVE MEDIA FOR DISCERNING MINDS. Still undecided? Listen to other shows and compare.